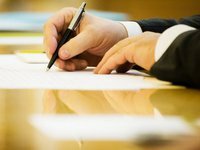 President of Ukraine Petro Poroshenko has signed law on introducing amendments to the Economic Procedural, Civil Procedure Codes, the Code of Administrative Court Procedure of Ukraine and other legislative acts (bill No. 6232), which will ensure the completion of judicial reform. According to the presidential press service, this law introduces new rules of litigation in civil, economic, administrative proceedings, as well as some changes in the rules of the criminal process.